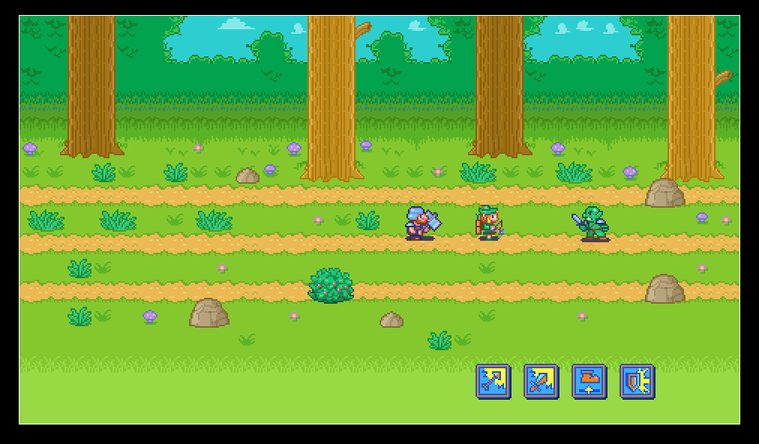 Axe, Bow and Staff is a running-action hybrid features retro look'n'feel and local + online co-op multiplayer gameplay. You play three characters: Axe the warrior, Bow the archer and Staff the wizard. Each character has his own abilities to get rid of the obstacles on one of the three "lanes". Eg. Axe is good at melee attack but weak at dodge while Bow is good at dodge but weak in defense. You can interchange the characters on different lanes to solve variant puzzles. The idea is partly inspired by Trine but I'm sure ABS will play different - it's fast-paced and more focused on coordination. Hold mouse left button to drag hero. Check out the NES-style chiptunes made by our composer Naruto! 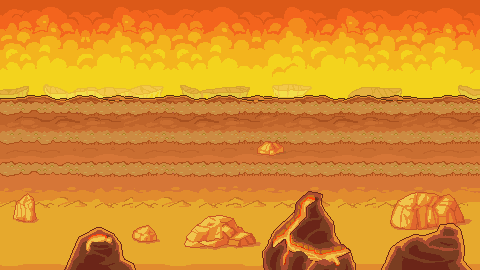 The track used in the Gameplay Video is also the one used in Stage 1-1. His music goes so well with the art that I can watch the game screen scrolling while listening to the tracks all day long! 10% - Core mechanisms, basic skills, a tutorial level. 20% - All tutorial levels, a boss fight level. 30% - Add experience and coins. 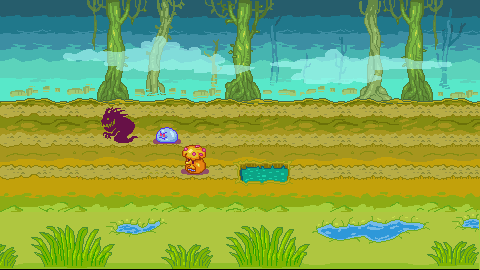 2 more levels with more enemy types. 40% - Upgrade system and all hero skills. An arena level. 60% - Networked Co-op. Finish 60% of the levels. 70% - World map. Misc. UI. 80% - Finish all levels. 90% - Beta testing and bug fixing. The skills are Shoot and Jump. 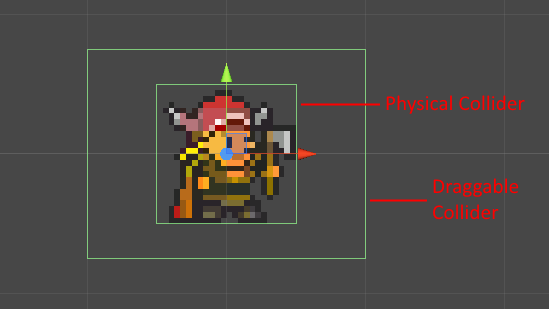 Jump can jump over some obstacles that the warrior can't get over, eg. the stones. I don't have any idea for the third skill of the archer yet. She is good enough for now: ranged attack and good mobility. Maybe it will be a powerful one with long cooldown. A little early to give too much feedback, but that flip animation is awesome. Two skills: Teleport (enemies) and Slow (time). If you use ScreenToGif there's no tag saying where it's from. Thanks for the advice! That's a really handy gadget! 1. 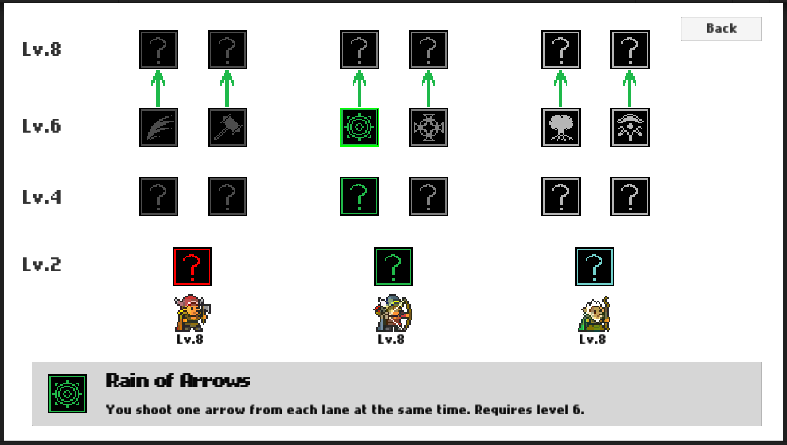 Click on a lane to activate the first skill of the hero on that lane. Hold 'Ctrl' for the second skill, and 'Alt' for the third skill (if any). 2. Move the mouse or click to focus on a lane. When a lane is focused, press '1' to activate the first skill of the hero on that lane, and '2' for the second skill, and so on. If you have played the demo1, please tell me how did you feel about the controls. 4. Summons two lightning balls which deal damage up-down. The heroes should split up to avoid damage. The Demo1 link is broken. But through the gifs I really like the design of it! It looks perfectly designed to be played on tablets and maybe smartphones, are u developing for mobile? Or the idea is to stick with mouse and keyboard? I've fixed the link. Thanks! I'm not targeting mobile platforms for now, but glad to see you asked I think it needs some effort to play smoothly on mobile devices. So, this is a major update. I have filled in the tutorial levels for each characters. Hopefully each level feels different in gameplay, but connected together. The controls had been further more optimized. Now you should be able to play the game with the mouse only. 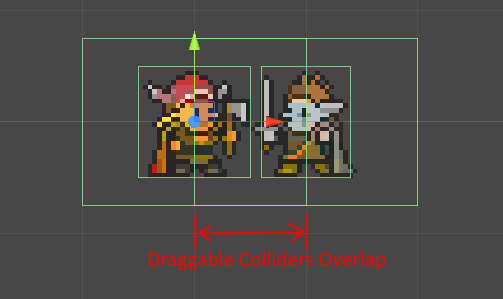 I fixed this by "shrinking" both draggable colliders when they enter each other, and restoring their size when they exit. Had been away from home for 3 weeks. 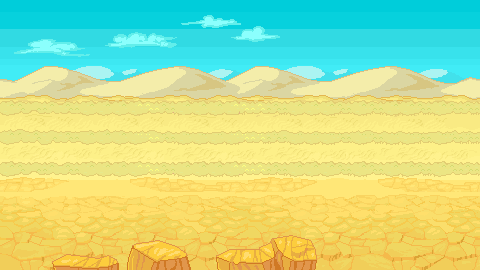 Although I tried my best to spend 2 hrs per day to work on the game, the progress is still slower than I expected - it seems I need more time to focus on the game design. Making level, tutorial and story design at the same time is almost beyond my capability, and scattered time just make it more painful! 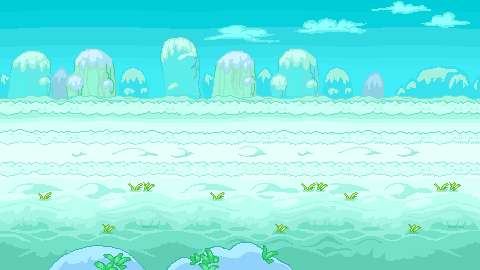 Anyway, two new levels are added, with a boss fight. I also added support of local multi-player for fun. You can use a keyboard and a gamepad to control different hero, while the mouse is still usable to control all heroes. The rating for each level is based on deaths and the proportion of the coins collected in level. I plan the stars of the rating for further use, e.g. to unlock some bonus levels. I thinks Bo's adorable style matches the game perfectly. I was used to Oryx's 2-frame animations and when I saw the Bo's animations they just blwe my mind! yes I like very much this gameplay, of course maybe I am not totaly objective, I hope we can bring you all a new demo soon. Have a good day all. Bo. So, Upgrade System! There will be an upgrade to choose when a hero reaches level 2, 4, 6, and 8. The requirement of upgrades is hero's level rather than coins or stars, because I want players to try their best to keep the heroes alive - generally it's easier to finish a level if you operate only one hero and let the others die, but no reward(experience), so the others hero can hardly level up to upgrade. Most upgrades are passive effects, buffing existing two skills of each hero. But when reached level 6, the upgrade will unlock the third skill. So in the middle of the game, our heroes will gain powerful skills which are very helpful to deal with evil bosses.